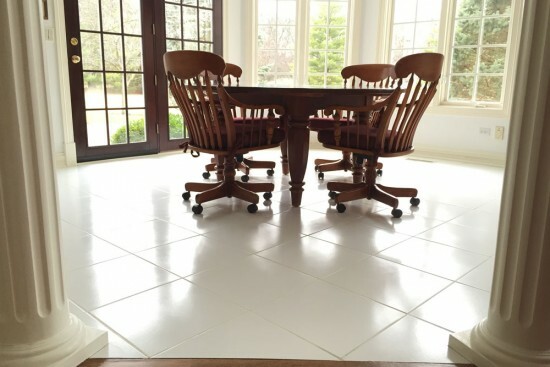 Our goal as tile and grout cleaners, is to make your tile and grout look as good as it did the day it was installed. 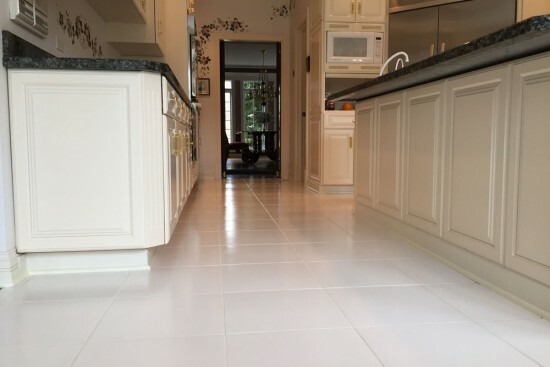 We use premium equipment and cleaning agents to make your tile & grout sparkle. 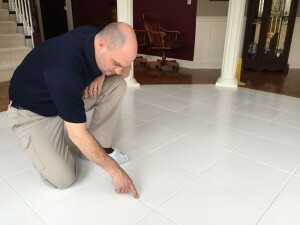 Below is the basic process we follow when cleaning tile and grout. 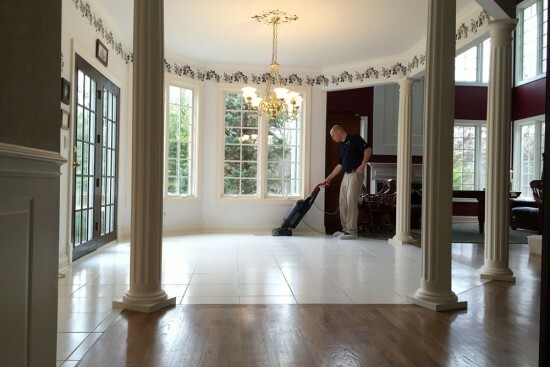 This allows us to identify concerns and set clear expectations prior to cleaning. This is one of the most important part of the cleaning process. 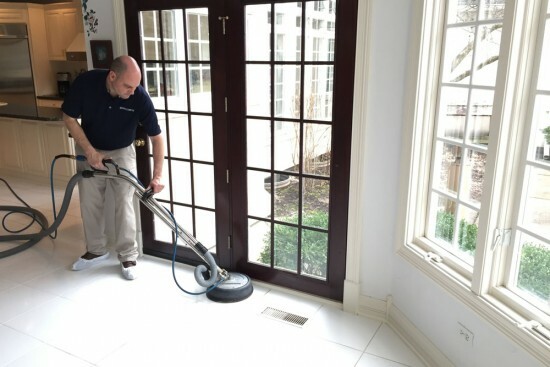 Pre-vacuum all surfaces to be cleaned using CRI certified commercial-grade canister vacuums equipped with HEPA filters. This prepares the surfaces for preconditioning and hot water extraction cleaning. 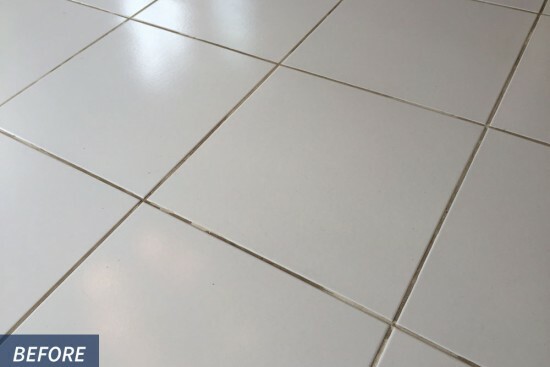 Application of pre-conditioner spray to break down soiling, sticky substances, or grease that has become embedded into the grout lines. Agitate heavily soiled areas or traffic areas with a counter-rotating brush, or with a grout brush. This helps increase the effectiveness of the pre-conditioner that has been applied. 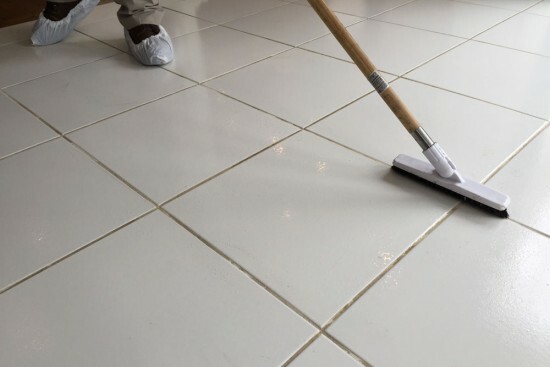 Clean the tile and grout using a hot water extraction system (either a truckmount or a portable cleaning system would be utilized, depending on the cleaning location). 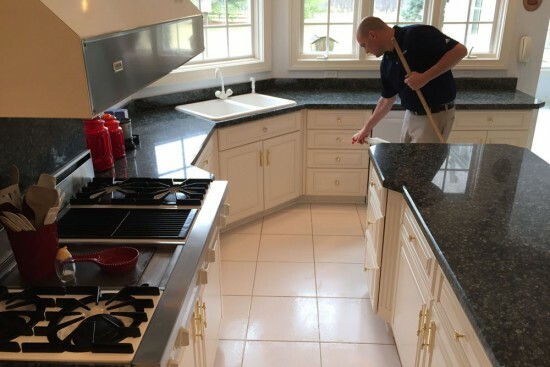 Typically a extraction detergent specifically matched to the type of surface being cleaned is utilized in the final cleaning process. 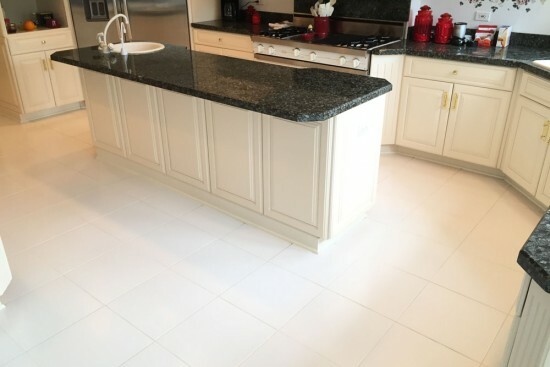 The cleaning process removes the original grout sealer from the grout, therefore we recommend re-application of grout sealer after cleaning. 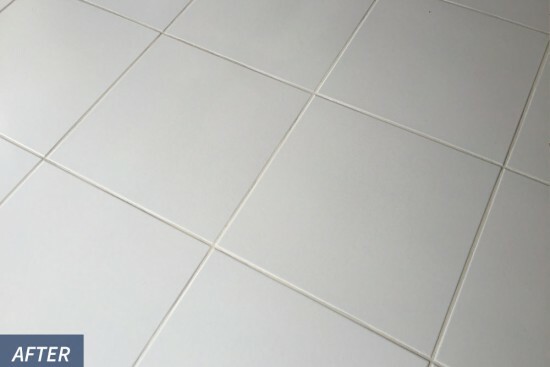 This helps the grout to be much more resistant to spills or stains, and easier to clean in the future. Final walkthrough of cleaned surfaces to ensure the client is pleased with the outcome. 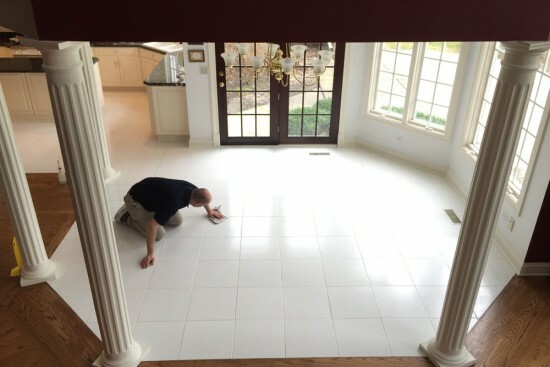 Contact us at (630) 898-3200 to schedule your tile grout cleaning services.